MEDIA ROOTS- Mark Dotzler is an American born sculpture artist who has exhibited with professors from Washington University’s Sam Fox School of Art and has site-specific artwork in the The Pulitzer Foundation for the Arts. Although Mark had known for years that the events of 9/11 weren’t properly investigated by the US government or corporate controlled media, he only turned his creative attention to 9/11 after becoming increasingly concerned about the level of self-censorship and blanket demonization of those simply asking questions. Prior to 9/11, Mark Dotzler spent years learning about the properties and technical behavior of metals while working in high-end custom metal fabrication under a master-craftsman. Coming from such a deep understanding of the characteristics of metal, he had problems reconciling the government’s narrative on the three WTC towers’ destruction. Dotzler’s 9/11 artwork reflects the discrepancies between his findings and the government’s official explanation. Mark created the piece “ll” for the historic Toronto Hearings, a series of international, independent hearings on the events of September 11. 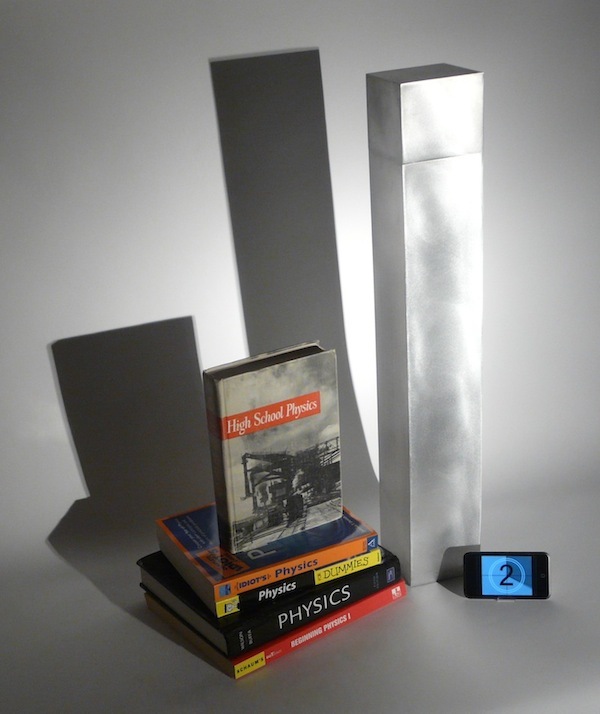 “ll” is a minimal representation of the twin towers using 6′ high stacks of documents. The piles of paperwork represent the voluminous amount of hard evidence that has been collected by highly accredited scientists and researchers from around the world that directly contradict the official government narrative of the attacks. 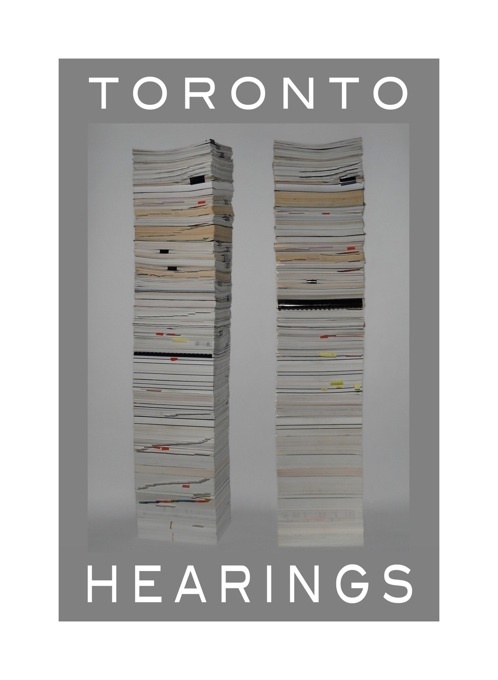 The document stacks resemble the number “11” as well as the twin towers, symbolizing the Toronto “Eleven” Hearings. Another stunning artistic statement. Thank you. Bravo for presenting the unanswered questions of the 9/11 events through the construction of contemplative visual arts images! Well done! I was struck by the simple beauty of the arwork of Mark Dotzler and the simple yet profound questions he raises.